Scottish-based Endura Racing has bolstered its line-up for the 2011 season with a host of new signings from around the world. Australian national time trial silver medallist Jack Anderson, Swedish time trial champion Alexander Weterhall and German former Milram rider Paul Voss join recent signings Estonian Rene Mandri (from Ag2r) and Dutchman Maarten De Jonge on the team for next season. McFarlane also made assurances that the expanded team will be well-supported by the Endura clothing company. “As far as funding goes, it’s a big jump from this season but the new Equipe clothing range has had a great launch year and I’m happy that we made the right move getting a team of this level together to help develop it and get the message out that Endura is serious about high-end road kit. The fresh international talent join existing signings Alexandre Blain (France), Iker Camano (Spain) and Jack Bauer (New Zealand) alongside a wealth of British riders at its core. Last week the team announced the signing of British talent Dave Clarke from the Pendragon-Le Col squad. Clarke won the 2010 edition of the East Yorkshire Classic. 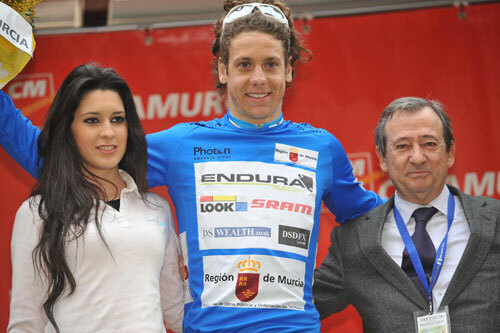 Endura are registered with the Union Cycliste Internationale as a Continental-level team. At the start of the 2010 season the squad embarked on an ambitious European campaign that included the Tour of the Med, Tour du Haut Var, Tour of Murcia, Tro Bro Léon and Tour du Finistère. In addition, the squad contested the British Premier Calendar and Tour Series events.